Stop Letting Pain Derail Your Sports Performance! Quit Being Frustrated and Start Feeling and Performing Better Today! If you’ve recently picked up a Sports Injury, or if you’ve been suffering with an injury for a while – it can be very tempting to pass it off as “nothing serious” and simply “put up with it” carrying on as best you can. 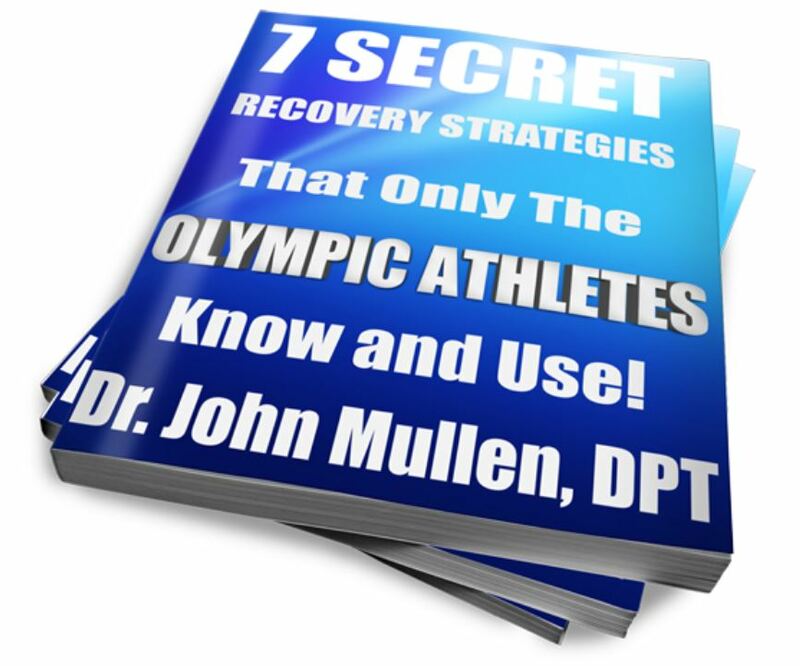 I spent years working with Olympic athletes so I’ve just about seen every type of sports injury there is – and know how to help people recover from them. When my athletes got injured – we started treatment the NEXT DAY. Most people think that when they get a Sports Injury it’ll get better with a few days rest, and that they’ll be able to return to their sport or exercise again, quickly. But then when they go back to exercise again they’re still restricted – sometimes it’s even worse than it was when it first came on. Often when you rest there is little if any pain – but as soon as you start up again, it comes back and no matter how much rest you give it – it doesn’t seem to be improving. Another scenario we see all the time in our physical therapy cinic is when people go to the Doctors, and the Doctor tells them they need to take a break, rest, wear a support and “try these painkillers” to “see how it goes” – but then 4 weeks later they end up going back to the same Doctor again because the injury hasn’t got any better, only to be given MORE rest, and ANOTHER prescription of even stronger pills. 1. First off, you need to make a decision about getting help. So many people procrastinate for so long, thinking that a sports injury will ‘just go away with time’, but then 6 months down the line they’re still putting up with it, and nothing’s changed… Or it gets worse. 2. Next, do the RIGHT exercises – one of the best things to help you ease your sports injury is to do the right series of progressed exercises – the right exercises given to you by a physical therapy will help reduce pain, and allow you to move freely again quick – and make sure that the problems don’t come back anytime soon (or aggravate your back even more like some exercises do). 3. Avoid sitting and long periods of rest – ever tried to get up from the sofa after resting for a while, but you struggle because your sports injury feels so painful and tight? That’s because one of the worst things you can do that adds to sports injury pain is rest, and sit for long periods of time. Too much rest, and sitting in awkward positions makes your sports injury stiff and tight. It would really help if you were given appropriate strengthening exercises for better posture, alongside hands-on treatment, to get you active and healthy as quickly as possible. 4. Get real, “hands-on” Physical Therapy – Physical therapy is proven to help people with sports injury pain. In fact, at COR it’s one of the most common injuries we see. If your sports injury pain is affecting your job, your ability to keep active, if it threatens your independence or gets in the way of spending quality time with family and friends – physical therapy can help get you back to living the life you deserve as quickly as possible.